We recently went on our first family holiday abroad to Spain. 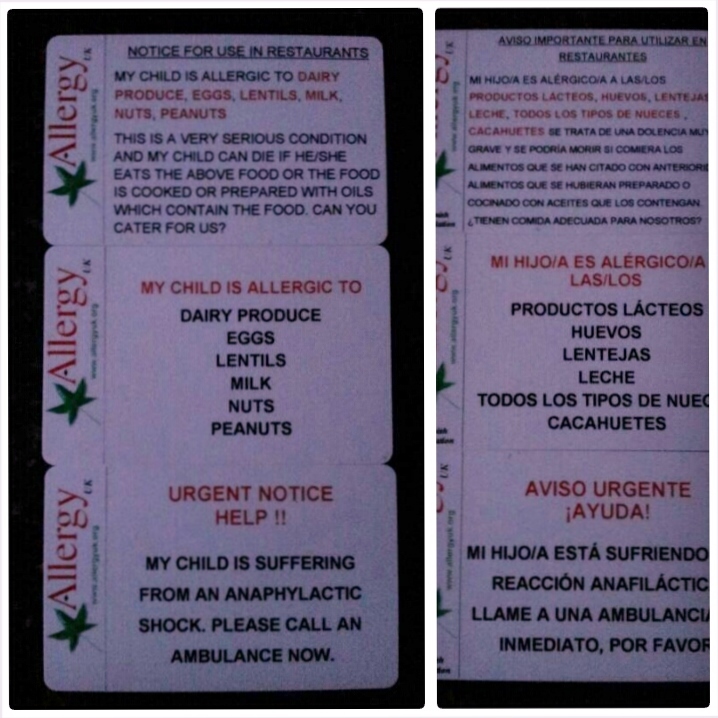 I ordered allergy translation cards before we left and thank goodness because they were a life saver! I had contacted the hotel before we left and we spoke with the hotel, restaurant staff and chefs as soon as we arrived and everything seemed fine food wise as they were making food from scratch especially for my son. One evening he had an allergic reaction to a pasta dish, most likely they gave us egg pasta instead of wheat by mistake. He developed a red rash around his mouth which quickly led to his lips swelling, bright red rash with hives all over his body and difficulty breathing. We had to phone an ambulance and through the allergy cards we were able to tell the hotel staff and in turn the ambulance that he was having an anaphalactic reaction. We were able to communicate with hospital staff too. He was given adrenaline and steroids and put on a drip overnight. It was all very scary as they tend to do things very differently abroad to what you are used too. Everything was fine but I don’t know what we would have done without the cards and insurance! 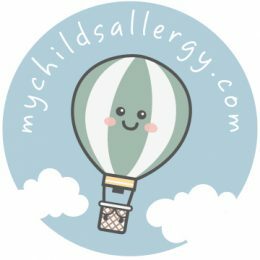 My Favourite Allergy Free Cookbook!